Red, green, and white are colors I associate with this early winter season. They show up in Christmas lights, gift paper, ribbons and wreaths. In hedgerows, there are rose hips, hawthorne, holly and snowberry. 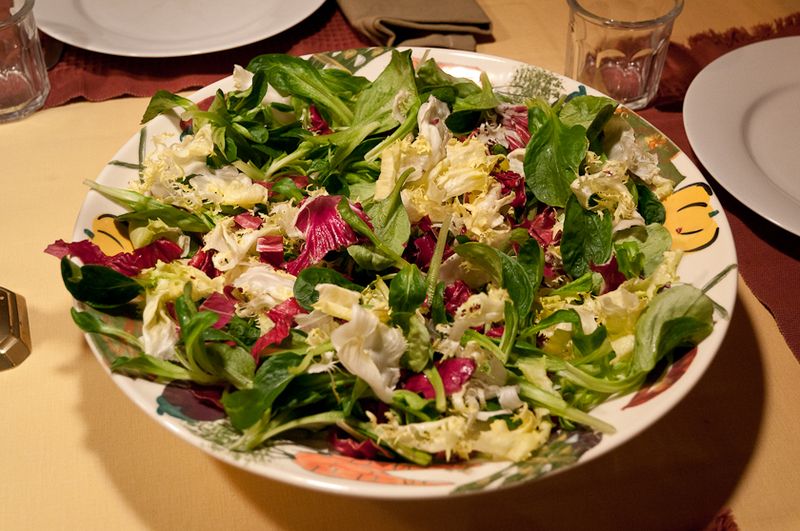 And on the table, there are salads from the winter garden where radicchio, red mustard and kale, mache and arugula, escarole and curly endive offer more versions of the red, green and white of the season. Now they are mature, growing slowly if at all in the cooler temperatures and shorter days of our coastal northwest winter. 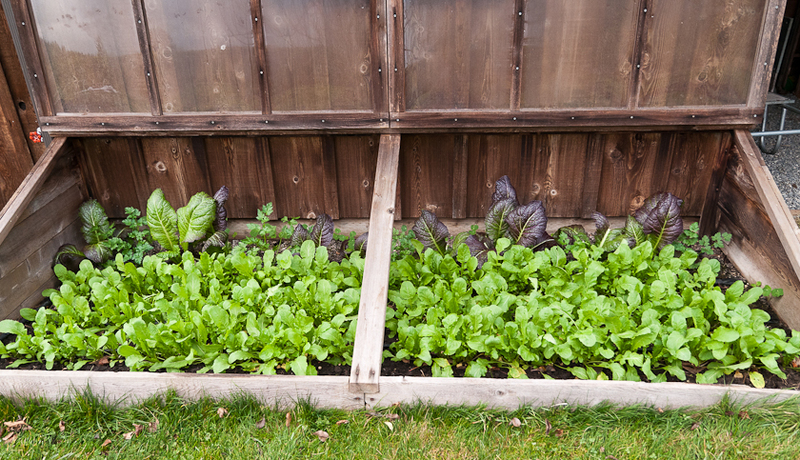 I keep the escarole, curly endive and radicchio covered in a low plastic tunnel because the rain will cause them to rot. The kale, mustard, arugula and mache are fine in the rain though I cover them as well when nighttime temperatures head for the low twenties. Harvesting these greens is pretty straightforward. With kale, mustard and arugula, I snip off individual leaves and the plant continues growing. 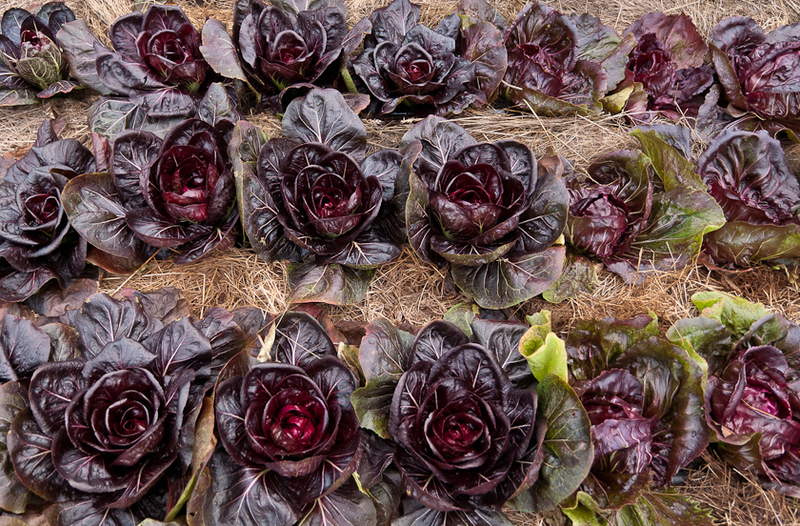 With mache, escarole, curly endive and radicchio I harvest the entire plant by cutting it off at the base. The mache rosette is usually free of any tough or yellowed bottom leaves but the others often have some weathered and tough outer leaves that I pull off and compost. Washing the individual leaves is easy in a salad spinner. Washing the full plants is a bit more complicated. After rinsing the mache rosettes, I grasp the rosette root side up in one hand and with the other hand slice across the plant about an inch or so above the root stem. The now separated leaves wash and dry easily in a salad spinner. I use the same approach with the much bigger escarole and curly endive plants. The one variation is that after cutting off the root end I separate the outer leaves from the smaller, creamier-colored inner leaves. I use the inner leaves for salad and save the larger outer leaves to sauté in olive oil, garlic and red pepper flakes. Finally, the radicchio heads are usually tightly wrapped, so after trimming off the root and outer leaves, I simply slice or tear the leaves of the head as I would cabbage. 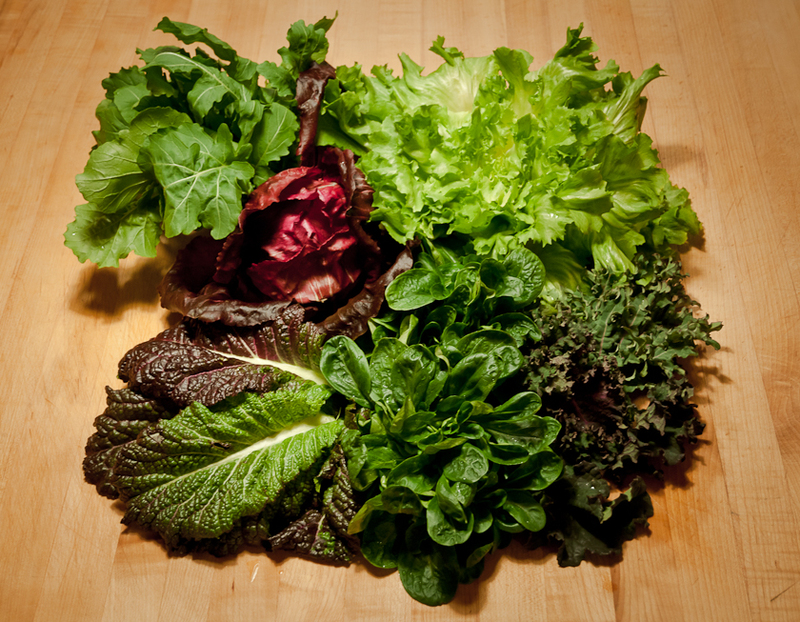 Each of these greens has a distinctive flavor. Kale is earthy, arugula is peppery, mustard is, well, mustardy. Mache is nutty and escarole, curly endive and radicchio are all pleasantly bitter. The flavors mix well together and are especially pretty with their shades of red, green and white. Sometimes though I’ll enjoy just one all by itself heaped into a salad bowl. For dressings, I like simple vinaigrettes made with sherry, cider or white wine vinegar, salt, pepper and olive oil so that the flavors of greens stand out. I often stop here, with a delicious, leafy salad. 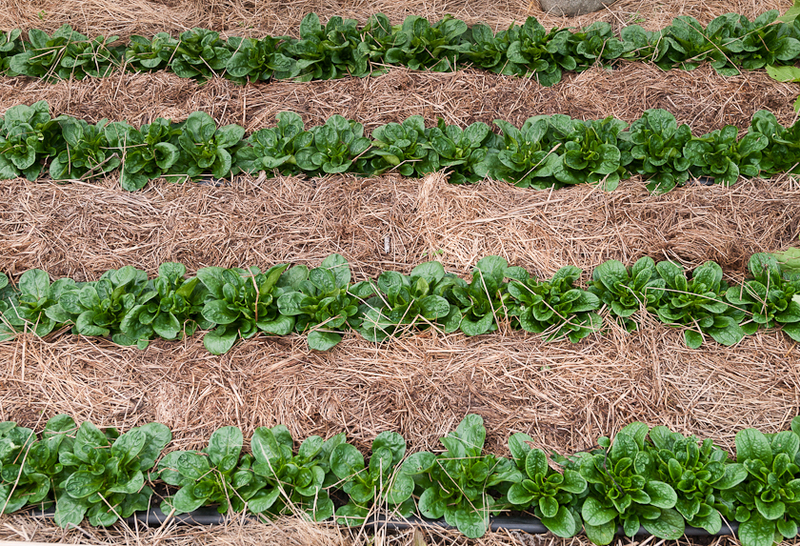 But, there are winter roots and fruits that mix wonderfully with these greens. Turnip, celery root, beets, apples and pears all add further flavors and textures as well as red and white colors to the greens. The other day, I sliced some Gilfeather turnip into matchstick-size pieces and added them and some diced winter pears to a mix of escarole and mache. The soft, sweetness of the pear and the crisp, pungency of the turnip blended perfectly with the bitter escarole and nutty, mineral flavored mache. I used cider vinegar vinaigrette. 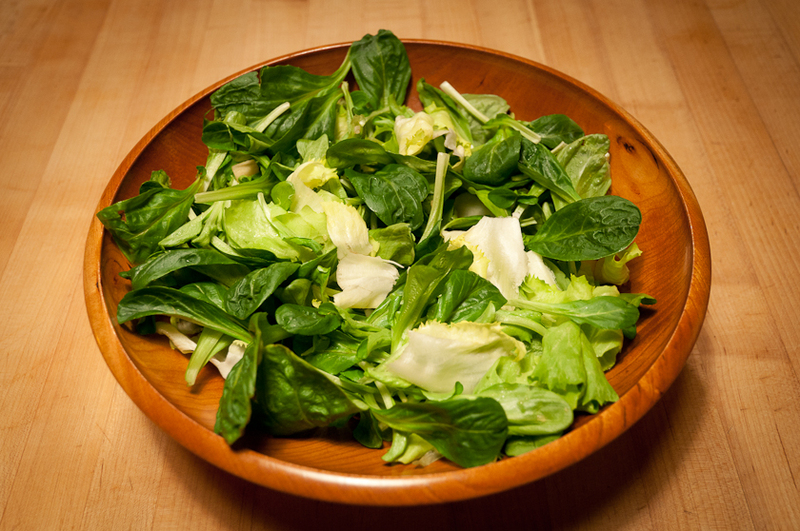 Another favorite winter salad is celery root and apple with mache or arugula. I slice the celery root into matchstick-size pieces and marinate them for an hour or so in a mix of white wine or cider vinegar, Dijon mustard, salt and finely diced shallots. For a pound and a half of celery root, I use a quarter cup of vinegar, a tablespoon of Dijon mustard and one to two tablespoons of minced shallot. Then I add diced red apples, mache or arugula and four to six tablespoons of olive oil. It’s a beautiful red, white and green salad. A few toasted pecans or hazelnuts add one more delicious flavor. Finally, beets, boiled, peeled and diced or peeled, diced and roasted are a perfect addition to any of these greens, both for flavor and for color. On these dark December days with seed catalogs arriving daily, it’s tempting to look ahead to the first tender salads of spring but right now and for the next few months are perfect times to enjoy tasty winter salads. If I could grow only one winter vegetable it would be kale. It’s easy to grow, very cold hardy and from the first frost of late fall all the way into spring its leaves provide earthy, mineral-tinged sweetness to all sorts of dishes. And at the end of its season, as spring brings longer days and warmer temperatures, miniature broccoli-like heads sprout above the leaves, a final treat from this wonderful vegetable. I plant kale in mid-July in rows about two feet apart, one seed every few inches. If temperatures aren’t terribly hot, it germinates well and grows quickly. When the plants are three or four inches high, I thin them, leaving one plant every twelve inches. For the two of us, two fifteen-foot rows provide plenty of kale for the winter kitchen. Red Russian (top right) and Winterbor (top left) are my two favorite varieties. I like the ragged edged, red and purple tinged Red Russian for its tenderness and sweet flavor and the tightly curled, yellow-green Winterbor for its slightly chewier texture and stronger flavor. Most years I plant a little blue-green Lacinato (lower right), also called Dinosaur Kale, Black Palm or Cavolo Nero, a favorite of many and very good but not at the top of my list. This year my sister Sarah gave me seeds of Rainbow Lacinato so I planted that as well (above, lower left next to some young chard, and below). It’s every bit as beautiful and cold hardy as the Fedco catalog description claims: “Who but Frank Morton would think to cross Lacinato with Redbor? 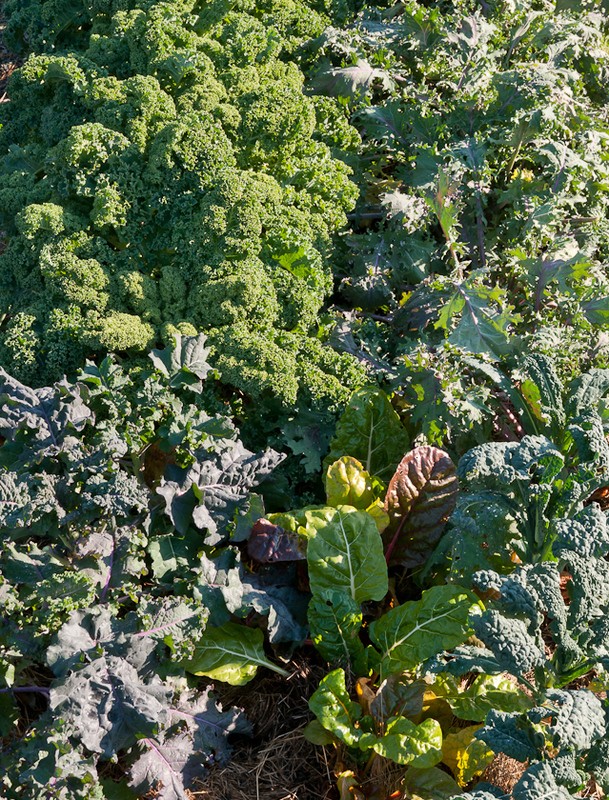 The result: A stunning new kale that combines some of the best features of both. It looks like Dinosaur kale overlaid with reds, blues and purples. In addition to its color, Redbor lends its productivity, super cold hardiness and reluctance to bolt to this heavenly combination. Curly edges, red veins, purple leaves, blue-green leaves, what a banquet of diverse shapes and colors!” Even more exciting to me, it’s delicious, more succulent than Red Russian with a sweet, almost smoky flavor. I’ll definitely grow more of this variety next year. 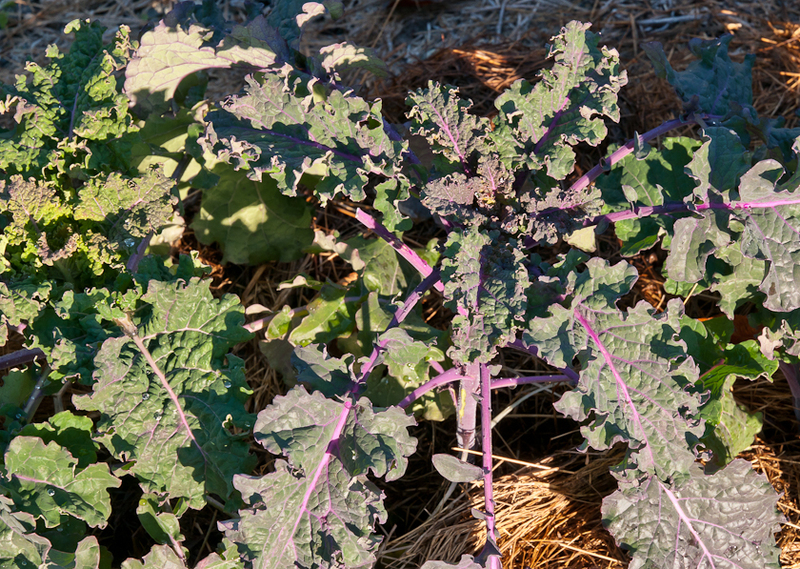 By October the kale plants are robust, two-foot tall shrubs. It’s tempting to harvest their gorgeous leaves and start cooking right away, but as I explained in my last post, kale tastes so much sweeter after a frost or two that it’s worth waiting. This year, I started harvesting kale after our late October frosts. 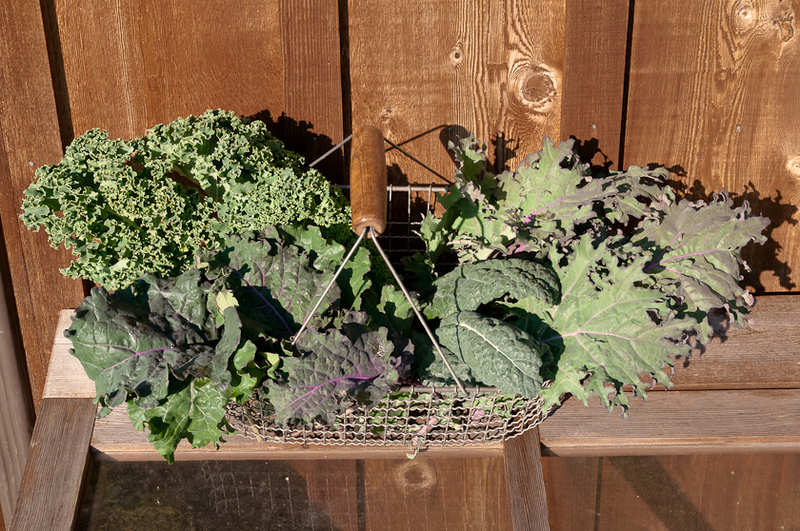 Because the leaves of all these kale varieties are so pretty, I often fill a basket with some of each. I pick the lowest, outermost leaves first and in subsequent harvests continue picking up and around the plant. I use a knife and cut the stem fairly close to the main stalk. As one more sign of kale’s ongoing gifts, the bit of stem that remains soon withers and falls off and new growth begins around the scar. 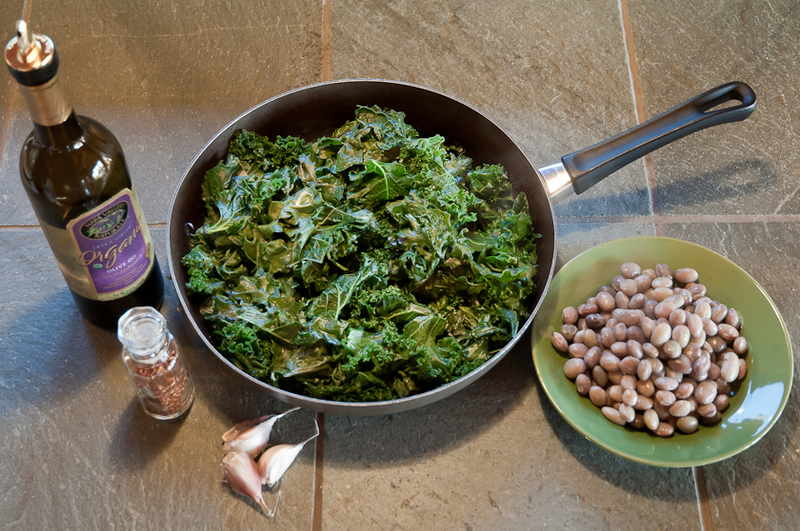 The most wonderful thing about kale in the kitchen is that you can take it in so many directions. 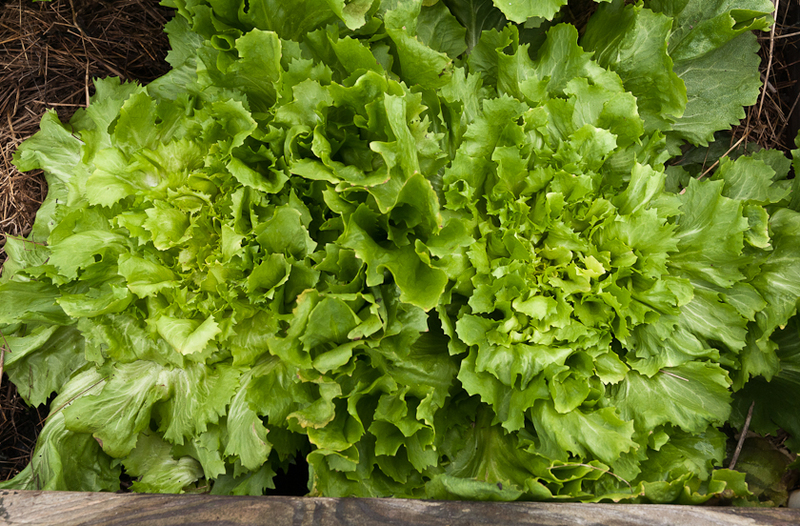 The tender-leafed Red Russian is delicious raw in salads. Washed, dried, torn or sliced into small strips, rubbed with olive oil and salt then sprinkled with vinegar and dusted with grated Pecorino Romano cheese, it’s a perfect winter salad. Add pickled red onions, sliced oranges or oil cured olives for more flavors. Google “raw kale salad” and get pages more of inspiration and variation. 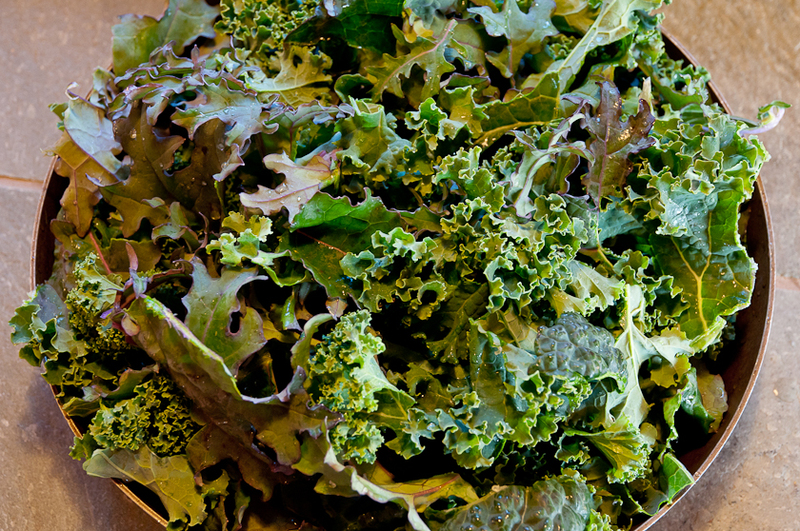 While I love making raw kale salads, my most common preparation method, and possibly my favorite, is wilting. I pull the leaves from the stems, tear them into smaller pieces, rinse them and pile them, still wet, into a skillet. I set the skillet over medium heat and cover the greens with a lid. The kale wilts quickly in the water left on the leaves. I keep an eye on it so that it doesn’t scorch and add a bit more water if it dries out before it becomes tender. Once wilted, the kale is much reduced in volume and ready to become any number of meals based on your imagination and what you have on hand. 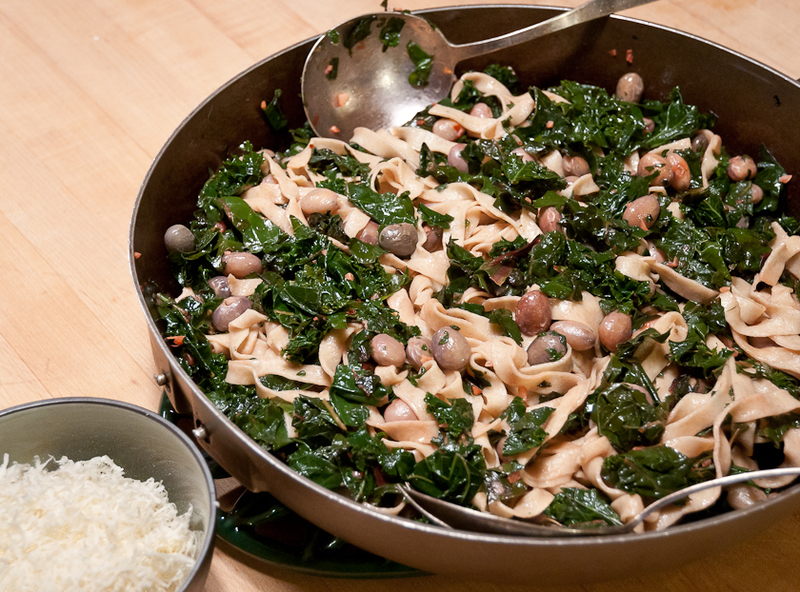 Last night, I sautéed garlic and red pepper flakes in olive oil, added wilted kale and some Good Mother Stallard shell beans and tossed this mix with pasta Scott made from Bluebird Grain Farms emmer farro flour. A little grated Parmesan cheese and it’s dinner. For other pasta toppings, I’ve added sausage or caramelized onions or simply poured a little cream onto the wilted kale after it’s been sautéed in oil and garlic. Any of these mixtures are also great added to eggs for frittatas or mixed with mashed potatoes and stock or milk for soup. Years ago, our friend Heleen introduced us to her version Boerenkool, a Dutch recipe from her childhood. She mixes wilted kale with mashed potatoes and sautéed leeks, tops the mixture with grated Gruyere cheese and walnuts and bakes it. She says it’s not traditionally Dutch but it’s still delicious. A few years later, her daughter Josephine suggested we use some sautéed kale as a pizza topping, a wonderful idea we’ve repeated often, referring to this pizza as “The Josephine.” The kale gets a bit crispy, reminding me that I still haven’t made kale chips, the latest cool way to fix this versatile vegetable. Google kale chips and see! What are your favorite kale recipes? Share them as we move into this welcome kale season!